George Bailey went to Princeton! Class of 1932. 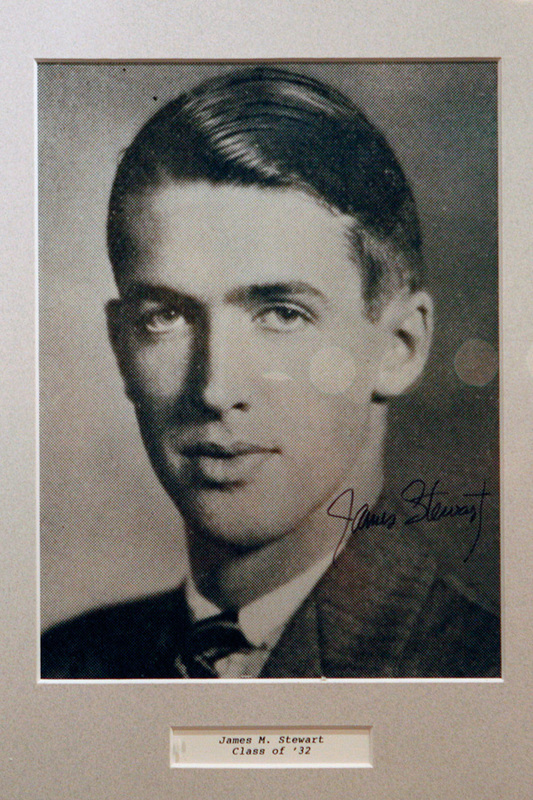 We were surprised to find Jimmy Stewart, the star of the classic Christmas movie: It's a Wonderful Life hanging on the alumni wall of honor in the Nassau Inn on Palmer Square. The discovery was a delightful holiday treat and seemed the perfect denouement to our photo essay. George Bailey, the main character in Frank Capra's 1946 film was based on George Pratt, the Protagonist of The Greatest Gift, a story written by acclaimed Civil War historian, Phillip Van Doren Stern. Stern could not find an interested publisher so he sent the story out to friends and family as Christmas gifts in 1943. Someone showed it to Capra who remarked, "This is the story I have been looking for all my life!" Critics seem to agree that the movie is better than the book, but say The Greatest Gift by Phillip Van Doren Stern is still very worthy of seeking out as a warm, engaging read. Frank Capra himself had nothing but praise for the story. We hope you enjoyed this journey through the Princeton yuletide as much as we did. In the words of George Bailey, "Merry Christmas! Merry Christmas, movie house! Merry Christmas, Emporium! Merry Christmas you wonderful old Building and Loan! Hey! Merry Christmas, Mr. Potter!